Ribbon Rouge Presents: Lisa Lowe – A Nigerian – Canadian Renaissance Woman. Hello everyone! It’s the final week before we get to celebrate art, fashion, music and passion! In just FIVE short days we will be holding our annual Ribbon Rouge Gala! This year’s theme is QUEEN: Women who inspire and motivate us to be difference makers in our community. Please remember to get your tickets for Ribbon Rouge online here. And if you can’t make the show this weekend please donate instead! This final week we are super excited to share more of our great artists and performers with your. Today we are showcasing Lisa Lowe: our amazing hair beautician! Lisa will be working with our models to make them look amazing on the runway by applying her unique sense of style! She also has a booth where you can have her style your hair for a small fee. 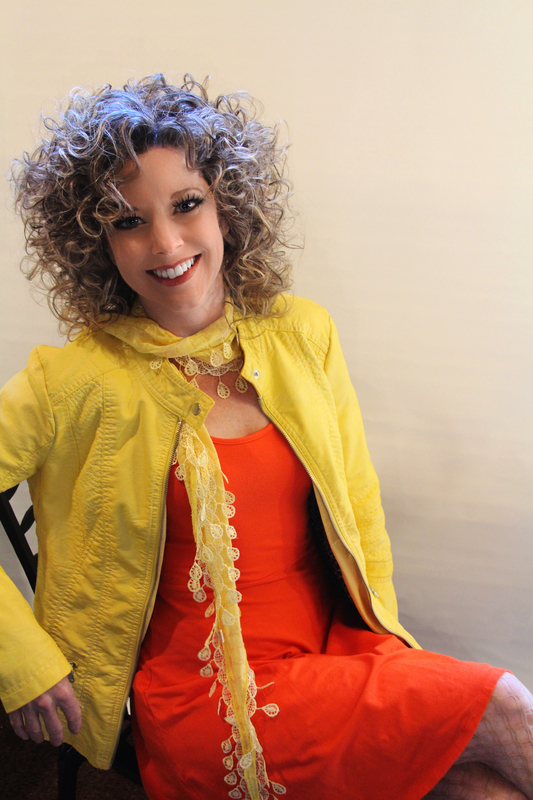 Check out our interview with Lisa to get a sense of what she’s all about. Lisa Lowe: My name is Lisa Lowe I was born in Jasper and my parents moved to Devon when I was two as they bought the theater. As soon as I was done high school I went directly to N.A.I.T. to become a Beautician as I always knew that was what I wanted to do. For the past twenty seven years I have been a hair stylist in Devon and the last twenty years of that I have had my own mobile full salon hair care business (Lisa’s Mobile Hair Service), taking me anywhere and everywhere making people beautiful. I am an independent female who has survived the world on her own and has recently decided to take on another project of building my own salon so that my clients have another option. LL: In my business I stand for perfection in hair styling and excellence in customer service. In my personal life I stand for the treatment of others with respect, dignity and honour. I value my friendships in the highest regards. LL: How do you feel about femininity/ womanhood/ the state of affairs of women’s rights in our country? I feel females in other countries are far worse off than Canadian women but there is still a barrier for the female to be treated equally as the males and while I can’t begin to know how other women feel as we have it far easier in Canada than most. LL: I can’t pick one Queen/inspiration as I meet people on a daily basis that inspire me. LL: I’m so lucky that every day I go to work I get to create my art and follow my passion. But it doesn’t end there; I love to create a variety of different types of art. 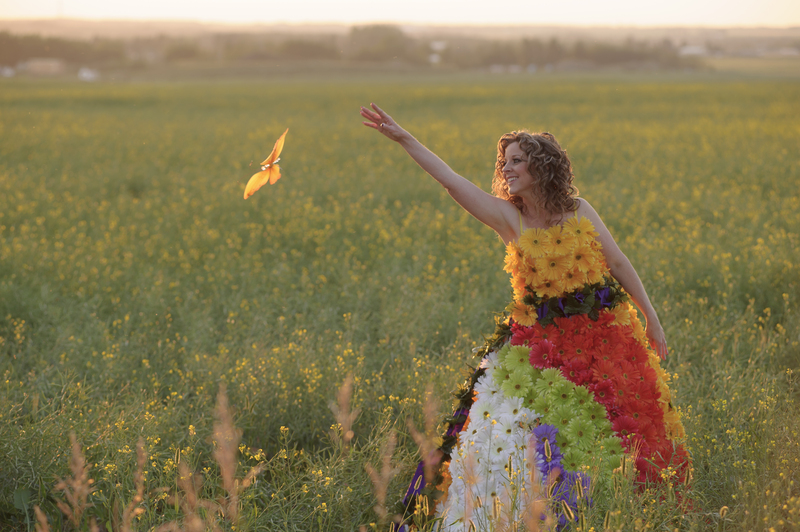 Most recently I designed a dress made all out of flowers. LL: I see the immediate positive effects of my art in the joy and happiness that I help create in my clients and the positive self-image that comes from. LL: Don’t let anyone tell you can’t do something because women can do anything! LL: A celebration of creativity and a chance to see how diverse and creative we all can be! It’s a gathering of many people that want to help forward our thinking in the way the world treats females. Lisa will be on hand at her booth at the Ribbon Rouge Gala and can do your hair for a small fee! Don’t let this opportunity pass you by. You can buy tickets for Ribbon Rouge 2015 online here. The show will start at 7pm sharp this year. 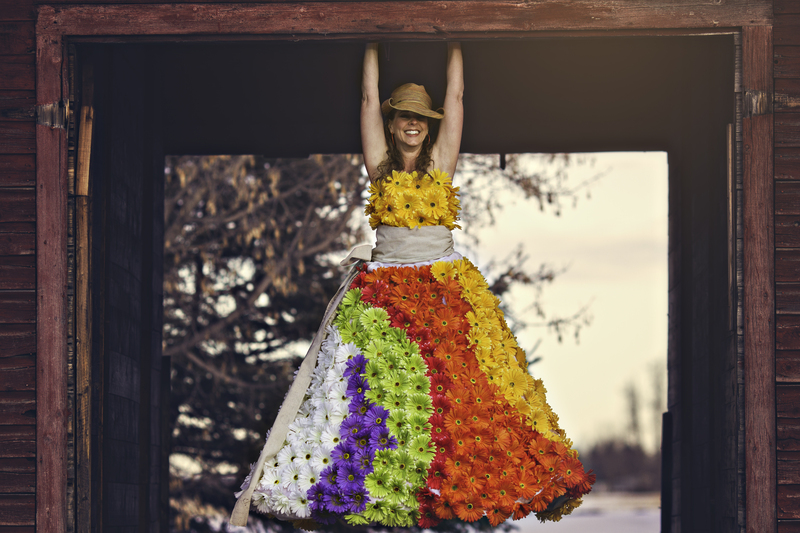 Posted on November 23, 2015 November 22, 2015 by MorenikePosted in UncategorizedTagged 2015, artist, beautician, edmonton, Edmonton artists, Gala 2015, hair, lisa, lisa lowe, local artists, lowe, makeup, morenike olaosebikan, Queen, Ribbon Rouge, Ribbon Rouge Gala 2015, RR8, sytlist.